The employers group Medef has dived head first into the French presidential campaign, with the publication of its “blue book” entitled The world is changing, let’s change France. In 170 pages, the organisation summed up its demands to the candidates in this year’s presidential election. 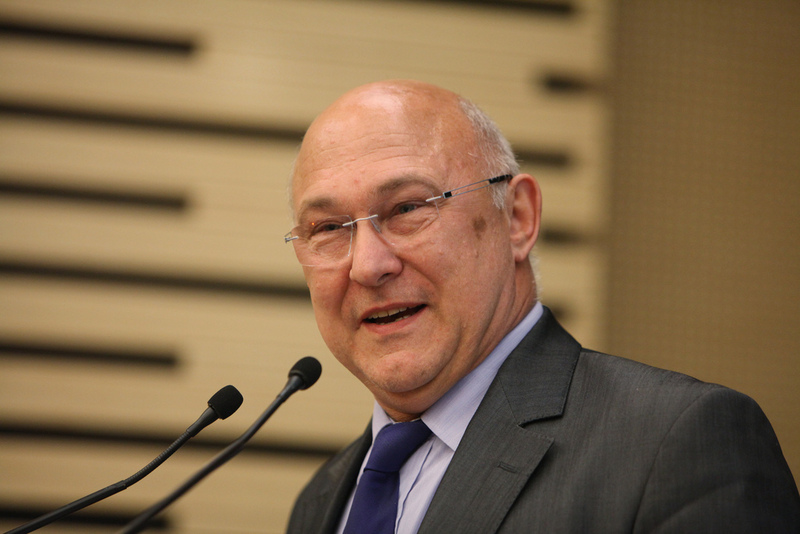 If Paris implements the recommendations of the Medef president to the letter, “annual growth of 2-3% is possible […]. Without confidence or growth, the French economy still managed to create 200,000 jobs” in 2016. So “if we add a bit of confidence, that is the magic word”. Built around “four blocks of reforms”, the book of recommendations contains few surprises. It is essentially a reprint of the same business bible pushed by Medef in recent years: reform of the education system with greater emphasis on apprenticeships; overhaul of the economic and social system, notably through a relaxation of the labour code; simplification of administrative standards; modification of the tax system in favour of competitiveness. A closer look at the detail of the taxation proposal reveals that Medef wants to expand the “responsibility pact”. Introduced three years ago by President François Hollande, this pact has handed businesses a €40 billion tax break. France is again seeking an extension from the EU on the deadline to reduce its national deficit. European Parliament President Martin Schulz supports the idea but the German government is insisting on adherence to the guidelines of the European Stability Pact. EURACTIV Germany reports. The “blue book” also calls for a reduction of business tax from the current 33.3% to 22% by 2020. The government is currently planning an initial reduction to 28%. It also calls for the solidarity tax on wealth (ISF) to be replaced with a 25% flat rate tax on savings interest. And over the next five years, the business lobby wants to abolish “most of the taxes on production factors”. In the social domain, there are no real surprises either. 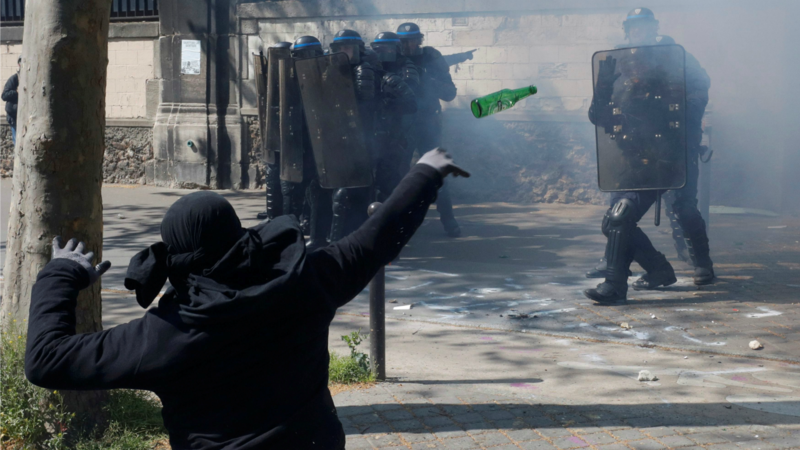 The organisation supports a strengthened El Khomri law (France’s controversial labour market reform), giving more negotiating power to businesses. It is also campaigning for increased subsidiarity to allow businesses to adapt their practices to fit with their economic situation. The law itself would only guarantee the broad principles of labour law. French business leaders are growing more concerned about the country’s economic outlook. A proposed set of labour reforms has split bosses into two camps. EURACTIV’s partner La Tribune reports. Medef also wants to reorganise employee representation within businesses by merging works councils and union representatives into one body. The blue book also contains all the traditional business lobby positions on the termination of contracts. Resurrecting the abandoned first version of the El Khomri law, Medef wants to see a cap placed on employers’ payouts to staff dismissed without fair cause. It also wants to extend the economic definition of fair cause to cover all staff cuts resulting from business reorganisation. In the same vein, the lobby group wants to end the presumption of ‘no valid cause’ for dismissals where no clear reason is stated. 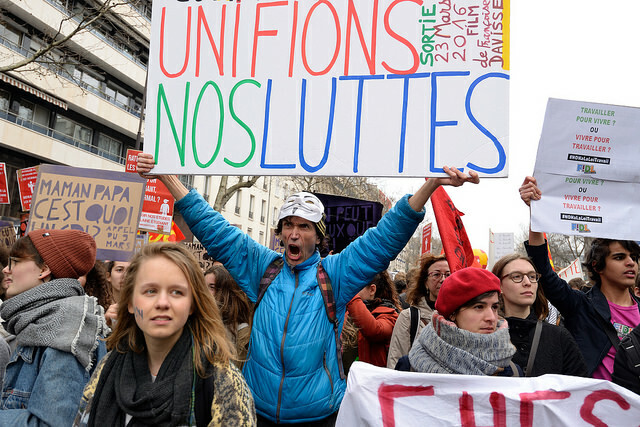 And the group’s demands on social protection show a certain amount of joined-up thinking: Medef wants the retirement age pushed back to 65 by 2026 and the social security contributions extended to 43 years. On top of these labour market reforms, the Medef wish list also extends to significant cuts to employers’ social contributions. For the business group, the tax credit for competitiveness and employment (CICE) should be transformed into social contributions cuts and accompanied by a general reduction in employers’ social liability of €30bn. 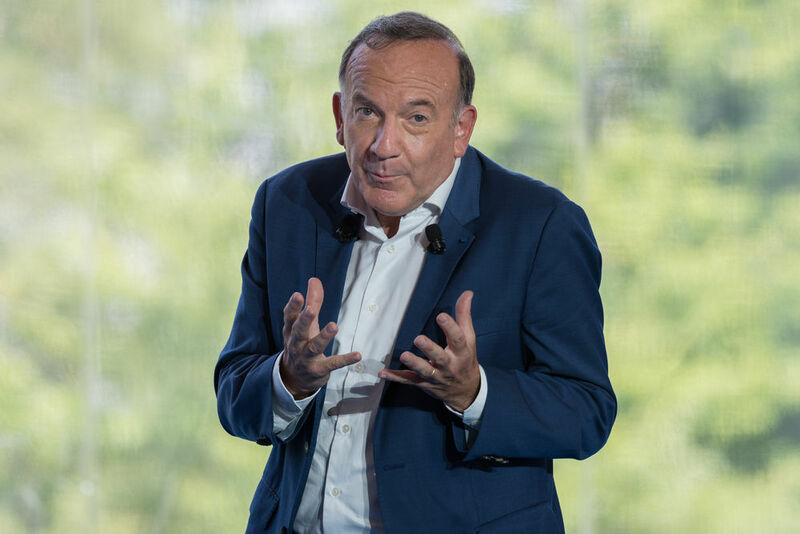 “Of the €30bn, we think that half, roughly €16bn, could come from a two point increase in VAT and the rest could be saved with public spending cuts,” said Pierre Gattaz, who does not believe there is a risk that prices will rise significantly as a result. More generally, Medef believes universal benefits (family benefits, health insurance…) should be funded by personal taxes and social security contributions, while contributory benefits (pensions, unemployment insurance…) should continue to be funded by individual contributions. Nothing in this publication deviates from the classic business lobby line. But what is Medef’s political preference? Gattaz did his best to avoid the question, but his response was amply clear. At this stage, he said, Republican candidate François Fillon is “the most pragmatic” candidate, while none of the others have any solution to offer for businesses, he added. The lobby leader even mocked Socialist candidate Benoît Hamon’s view that such a programme would not create jobs or growth. “There are jobs everywhere,” he said. Neither could he hide his concern at Marine Le Pen’s plans to “turn France in on itself”. While there is little doubt as to which candidate will enjoy Medef’s backing, the issue will become clearer at a series of three events in March and April, organised by Medef and around ten other business groups, where each candidate will be invited to outline their economic programme.